How Long Will The Nautilus E614 Last? If the frame does last and you luck out with an E614 that is not broken, you still have to keep in mind that this is a basic elliptical. The E614 will more than likely only last a few months if you are a heavy user. A beginner who is looking for a light workout on a weekly basis may see a few years out of the E614, but we would not recommend this model if you can help it. There are simply better quality ellipticals in this price range that will more than likely last longer and cost a little less. If you are an SEC fan, unless you root for one of the teams that are “lucky” enough to win every single game and the championship every year, then you know what it is like have great games one weekend and shameful games another. We have some of the best players who seem to be potential draft picks one day while at the same time act as if they don't know what a football is the next day. Nautilus's E614 is very similar in that you have the potential to have a subpar beginner elliptical or a complete waste of money. The E614 has a few attributes, but the overall quality is lacking to the point that the experience can vary from one E614 to the next E614. 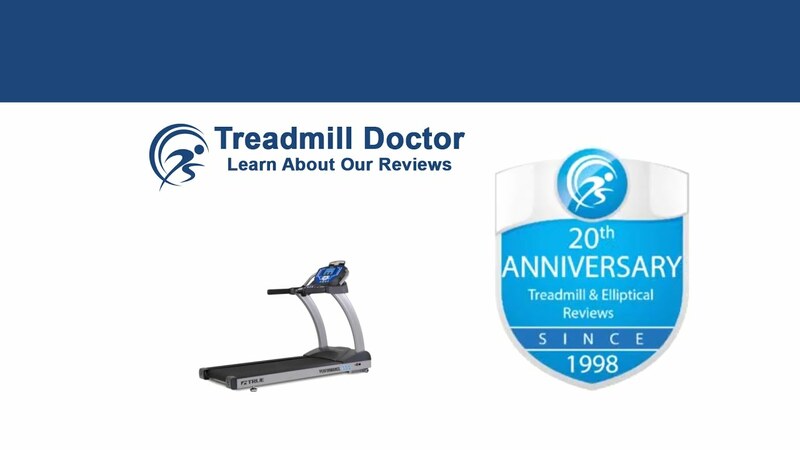 Taking this into account, we have placed the Nautilus E614 in the Runner-Up slot among our 2019 Best Buy ellipticals in the $400 to $699-dollar range. Let's first begin with the attributes that the E614 has that other ellipticals in this price range do not. Nautilus has equipped the E614 with a twenty-inch stride length, twenty-two built-in workouts, and the ability to incline among six different positions. These attributes seem like pros, but they are not the best quality and, therefore, do not offer many benefits. To start, the stride length is not adjustable which makes this a difficult machine to use for a short user. Also, the incline ability requires a manual adjustment. So, if you would like to increase your intensity in the middle of your workout, you have to stop the machine, hop off, move to an increased incline, and then jump right back in. We are also not too pleased with the warranty. Nautilus breaks the warranty down into a ten-year frame, two-year parts, one-year electronics, and ninety-day labor warranty. This may seem like you are receiving a more valuable warranty since its more extensive, but let's compare it to the others in this price range. The standard warranty for ellipticals in this price is a lifetime frame and one-year-parts and labor warranty. A "lifetime" can vary depending on the manufacturers' standards. Proform, for instance, specifies that their lifetime warranty lasts the "lifetime of the original purchaser;" hopefully they expect the purchaser to live longer than ten years which would mean the Proform warranty is better than Nautilus. In regard to the parts and electronics, these are decent warranties, but they only come with 90-days of labor. This means that though Nautilus will replace a part or electronic malfunction, you will need to either find someone to fix the problem or do it yourself. Thus, the E614’s warranty is not terrible, but it does not add as much value as other warranties in this price range. Finally, we would like to discuss the concern we have with the E614’s quality. The discussion of the ten-year frame warranty carries much more weight when you know that the E614 has been known to have frame issues. We have had experience with E614s that break before they are even out of the box. Thus, though the specifications look promising and the features show some value, the consumer should be aware that there is a chance that their Nautilus E614’s frame will break. This is a huge set back when most of the machines in the market have frames that outlast all of the other components. Nautilus has used such low-grade steel that the E614 cannot be counted as a durable machine. And to top it all off, Nautilus has priced the E614 at the very edge of the $400 to $699- dollar range which makes this elliptical one of the most expensive in this price bracket. Over the years, we have been disappointed in the E614's low-quality build to the point where we have stated that one should buy this elliptical at their own risk. Nautilus has built the E614 with low-grade steel that has been known to break before the machine is even out of the box. Between the less valuable warranty, low quality, and bad frame reputation, the Nautilus E614 is simply not worth the price tag that is attached to it. While we do like that Nautilus attempted to add more features that are not as common to this price range, the stride length and incline ability are not of high quality. Thus, we have dubbed the E614 our 2019 Best Buy Runner-Up for the $400 to $699-dollar range. We recommend this elliptical for a light user with caution. Since we are not sure of the E614's reliability, we caution a recommendation for the E 614 because there are better quality ellipticals in this price range that are a little cheaper.